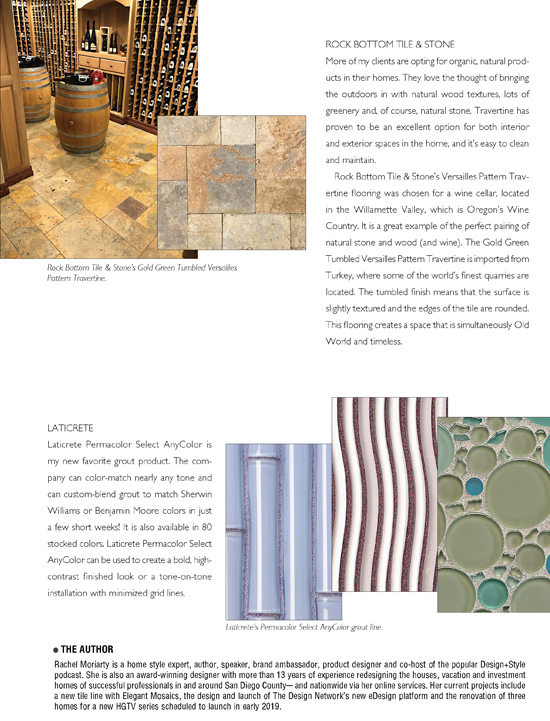 One of my favorite tasks as a designer is helping my clients select surfaces for their kitchen, bathroom and outdoor projects. I love options-lots of options! I have a soft spot for companies that like to disrupt their industry. 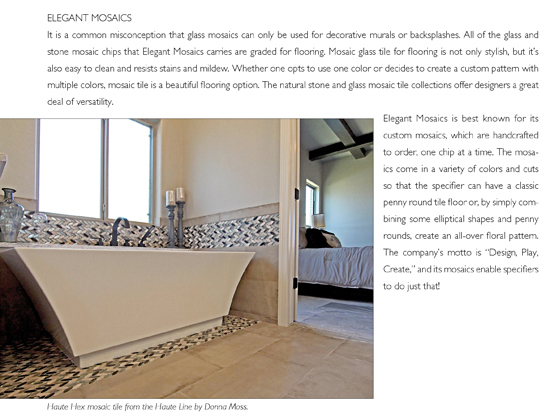 Elegant Mosaics offers custom handcrafted mosaics that can be used on the floor and the wall; Rock Bottom Tile & Stone is an online resource for travertine, limestone and marble; and Laticrete enables us to create grout in virtually any color.